Free for now, free for now. Thank God almighty, Jon Jones (pictured) is free for now. Jones will battle champion Daniel Cormier in just 23 days at UFC 197 in hopes of reclaiming the light heavyweight crown that was stripped from him following April’s felony hit-and-run arrest where a pregnant motorist suffered a broken arm. Today, however, Jones was battling Judge Michael E. Martinez in a Albuquerque courtroom to reclaim his freedom after spending the past three days in the comforts of cell #26 after getting arrested Tuesday for parole violation for last week’s drag racing citation. Jones was granted his release from Metropolitan Detention Center after admitting to probation violation during Thursday’s hearing at New Mexico Second Judicial District Court, but additional provisions were added to the existing 18-month probation sentence he was issued in September after copping a plea for the hit-and-run charge. “Bones” must now attend anger management and driver improvement courses, as well as execute 60 additional hours of community service. In addition, Jones now needs approval from his probation officer whenever he wants to drive. The Bernalillo County District Attorney’s office tried to slap Jones with a a nightly curfew from 10PM to 4AM, but Judge Martinez shot down the stipulation after Jones’ legal team rebuffed. As far as fight fans are concerned, the most important thing to come out of today’s hearing, outside of Jones being freed, is that there were no travel restrictions placed on him, so he is clear to promote and fight on April 23 in Las Vegas. Before breaking court, Judge Martinez warned the troubled Jones that “it won’t go well” for him if he’s seen back in court on another driving violation. 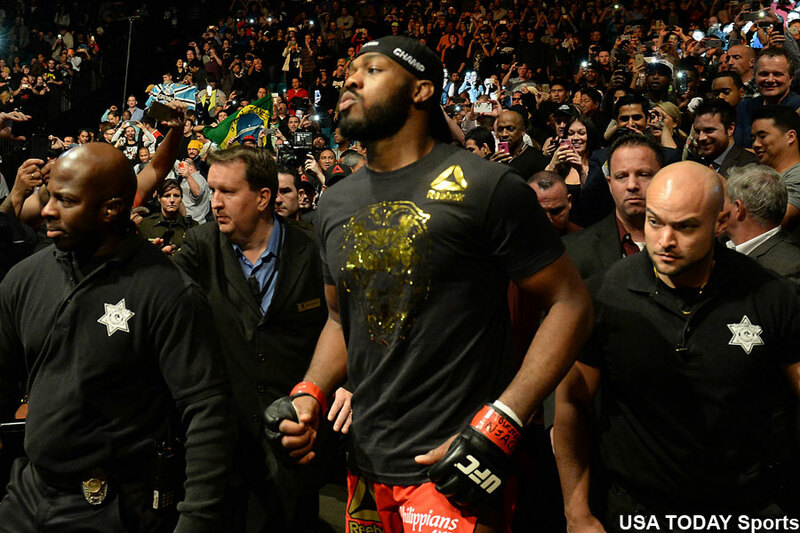 The UFC has taken a wait-and-see approach with Jones’ latest arrest, allowing the legal system to do it’s thing first. The promotion has yet to issue a statement following today’s ruling, but it’s safe to say UFC 197’s main event is a-go.